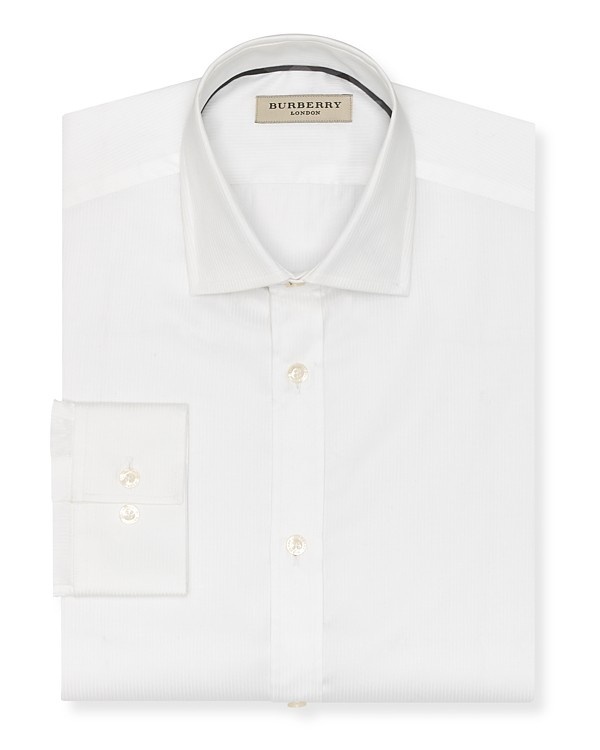 Burberry offers us a classic tonal stripe white dress shirt, with a simple, casual barrel cuff system for our day to day work. The classic cut gives you room to move for your working day, while the tonal white stripes offer more choice and variety than a pure white field. Available now from Bloomingdales. This entry was posted in Dress Shirts. Bookmark the permalink.